An important tool for managing storm-related flooding and polluted runoff is now available in New Jersey. 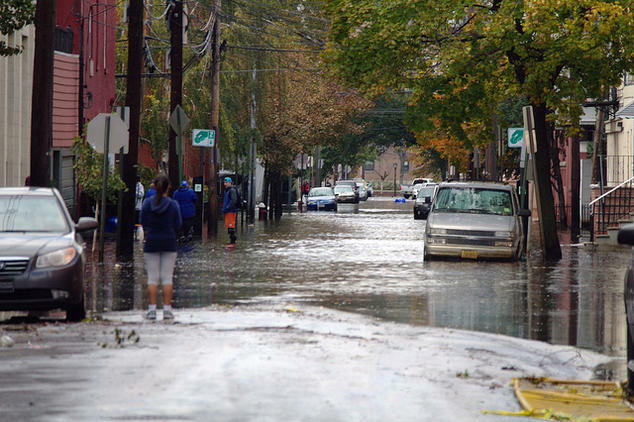 In March 2019, Governor Murphy signed into law the Clean Stormwater and Flood Reduction Act, which gives local government entities the ability to create stormwater utilities and establish fees. With this enactment, New Jersey joined more than 40 states where stormwater utilities were already authorized. New Jersey’s law allows, but does not require, local governments to establish stormwater utilities to collect fees based on the amount of stormwater the property generates that needs to be managed. Funds generated from these fees are dedicated to stormwater management and cannot be diverted for other purposes. Stormwater runoff, which typically contains industrial chemicals, grease, motor oil, litter and pet waste, is one of the largest polluters of New Jersey waterways, threatening recreation and water-reliant commerce. As the climate changes, more frequent and more severe rainstorms will mean more storm-related flooding in more communities. And in the state’s older cities, combined-sewer systems can be overwhelmed by stormwater runoff, causing them to discharge raw sewage and to back up into streets and basements. Without a stormwater utility, the costs of managing storm-related flooding and runoff are included in other local government costs — typically either property taxes or water or sewer fees. This often leads to under-investment in managing stormwater, and can create inequities in who pays, since some property owners don’t pay property taxes, and some properties, while generating runoff, don’t pay a water or sewer bill. A stormwater utility is a mechanism by which to raise sufficient funds for stormwater management, allocate its costs more fairly, and help ensure that less polluted runoff reaches our streams and rivers. To learn more, and explore whether a stormwater utility might be right for your community, check out the resources below, and visit the website of Flood Defense New Jersey, a coalition of state and local nonprofit organizations working to protect our communities from damaging floods and harmful stormwater pollution.